This weeks main changes have been in code optimisation and beautification of the menu system. The optimisation is through working on a section of the code that would drop the frame rate to around 7 frames per second, that number is now back around 40. The only trade off is that the minimap show everything on the map before it has been discovered, so that will be the next fix. The menu system used to have horrible coder art buttons, which have had a slight update to something not as visually offensive. The next part to work on will be the audio controls. Ideally before the end of the year the units and buildings will have a consistent design and hopefully they will function nicely, hopefully. 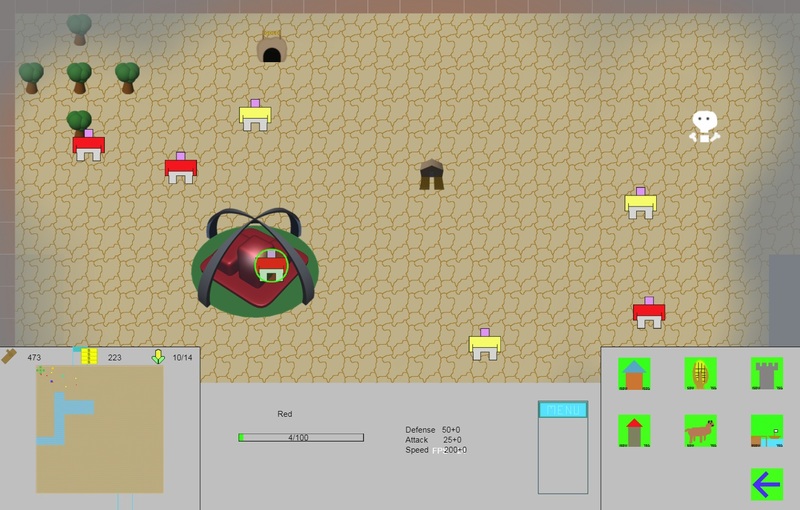 This is a little RTS that I started work on ages back, and have recently started work on again. 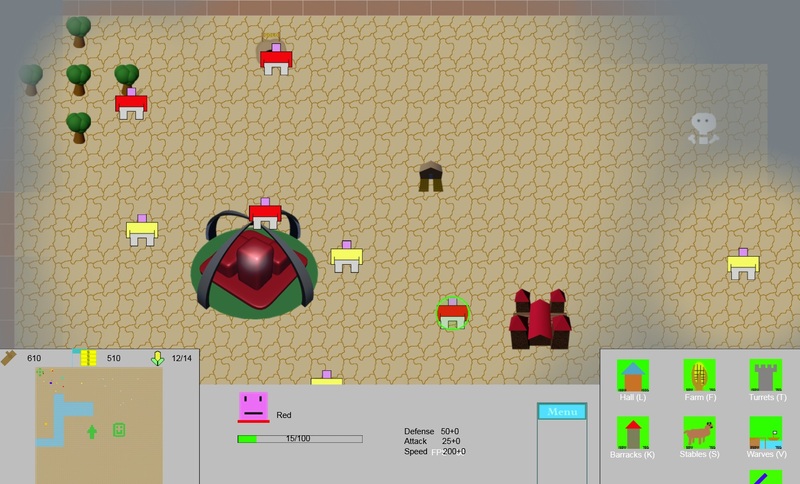 It had most of the elements working, including a Minimap, Save/Load function, resource harvesting, a few different units and a handful of buildings. The premise for the game was to be that an evil villain has messed with the timeline and it is the players job to not only fix it, but beat the mixture of futuristic and contemporary armies of the villain in order to do so. At this stage, the whole thing is just coder art and a bit or royalty free music, as the planning and development stages kept getting put on hold. Current work has been to fix up little bugs that occurred when the game engine was updated and a few other minor visual and audible fixes. Try the game here and feedback is more than welcome. Having not made a musical game before, I thought I would try my hand at one. The hardest part was deciding what sort of music game to make. 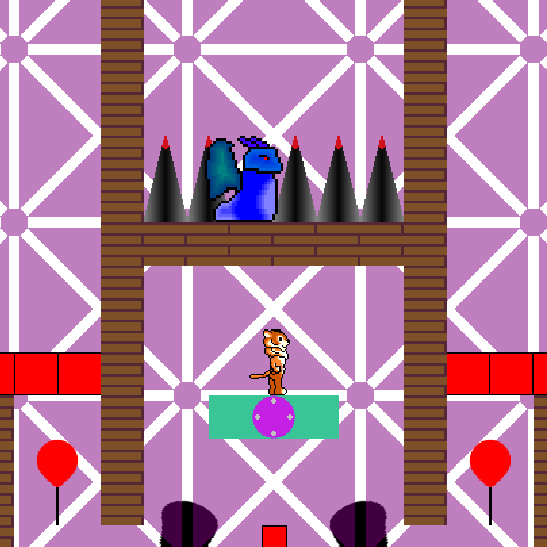 Initially it started out as a simple game where you would side scroller, that would play different notes as you passed through the environment. I shelfed that idea early on, as it would take a fair few assets, and I wanted to focus more on the mechanics of the game. So I ended up converting the game into a Guitar Hero/Tap Tap Revolution style game, but instead of hitting the notes, you need to avoid them, else the song wouldn’t sound the way it should when passing through the green line. I eventually added other elements such as high scores, mobile controls, (and with some limited success) the ability to import your own MIDI files into the game. This game is probably one that I have invested the most amount of time into, and is the closest to being actually released as a playable game. Early on, I was looking for a new style of game to make, and was using a random idea generator that came up with the idea of parallel worlds; and so I ran with it. This game is the end result. 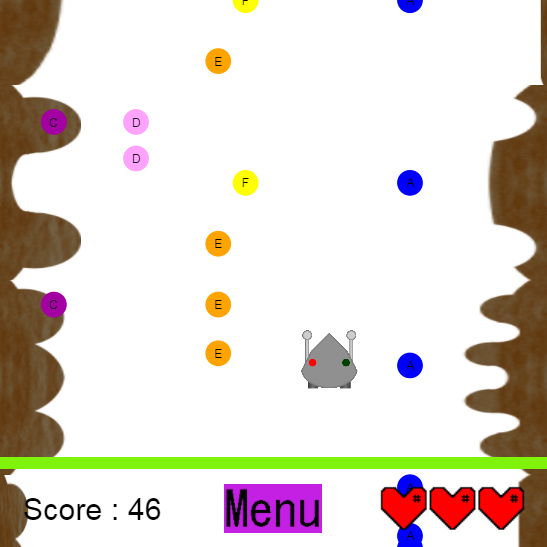 It has multiple mechanics from simply changing worlds to anti-gravity to telepoters. While each one is interesting on their own, when combined, they make up 32 levels worth of game, and some levels even contain small Easter Eggs. All the assets in the game are hand drawn (except for the player and the green enemy), which was fun, as I hadn’t done so much artwork for a game before. The hardest part, at times, was testing each level to make sure they all worked, and that people who hadn’t played them as many times as I, could still finish them. There were plans to add a speed run mechanic to the game, but in the end I settled for a collectables award system instead. Having grown up on sim games as a kid, I thought that building one would be just as fun, and it turns out that it was. 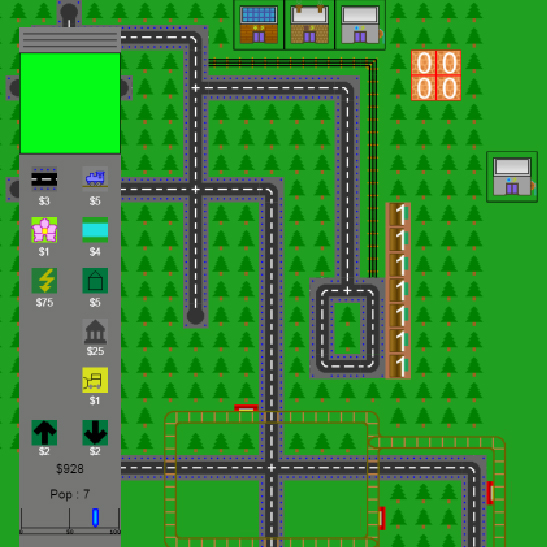 I started this game as a test for tile mapping, and eventually ended up making a Sim City style game. While this game never got more than half way built, the mechanics that it had in it were fun to program. Everything from the menu system, to the financing of the city to the way the water and power ensured that the buildings would become more than just vacant blocks of land. The one thing that I regret not finishing on this is the traffic and power systems. The plan was to have little cars moving and causing issues for the player, if the area became too densely populated. As for the power, it ended up that the way I was calculating power for each grid caused too many secondary issues, so I ended up just making it work in a round about way, and moving on. Perhaps at some point, I’ll go back and actually finish this game, but I just need to find the time to do so first.